How Deserving Am I of Awards? That perennial shrew and busybody, Old Mother Busyness, has prevented me from graciously accepting and passing on two awards I have received this glorious month of May. But it’s not just her, it’s also that nasty old hag called Shame. Just how deserving am I anyway of these awards? When there are so many other brilliant writers out there? Today, however, I will kick those two old witches to one side, and mention both awards in one post. Hopefully that will not cause gross offence to the Great Owlish Order of the Great Lords of E-Wisdom, or whoever is currently ruling the Internet. So, first of all, thank you to Ami Fidele, who has been waiting so patiently for me to respond to his Inspiring Blog award nomination. I have mentioned him before and I will mention him again: he is philosophical, lyrical, a true romantic and he writes beautiful poetry. Oh, and did I say he is a lovely online friend, too? 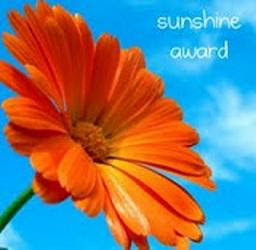 The second award , One Lovely Blog, comes from a more recent acquaintance, Ash N. Finn. But such is the marriage of true minds over the blogosphere that I already feel we understand each other very well. Thank you, Ash, and if you appreciate really clever and surprising flash fiction, you will love her blog. I was also simultaneously nominated by Honoré Dupuis for this same award, so big thanks to him too, he is such a supportive and active presence on blogs and Twitter, it’s been a pleasure knowing and reading him. The requirements are quite similar, thanking your ‘nominator’, sharing those dreaded seven personal revelations, the only difference being the number of bloggers you then link to. I will err on the side of plenty, and I will start with the Inspiring Blog Awards, because these are all bloggers I love and look forward to reading. My only complaint is that some of them do not post frequently enough for my taste. Please, guys, let me hear from you soon! Poet Janstie – he’s waited all his life to write – and how well he does it! Keat’s Babe – she is so multitalented and diverse! There are so many more I would love to mention, or mention again. But that’s given you enough to be getting on with. And it also serves as a reminder that I need to update my blogroll. Uh-oh, it’s just occured to me: I do like long, pretentious sounding words, don’t I? Maybe I should develop a loving relationship with the word ‘purge’! Ha, ha, long ones too! But I agree, they are lovely… (the words, but the awards too, I guess). Congratulations! The lovely thing about those awards is that you didn’t go hunting for them: they came to you. It’s that reaching-out thing. You touched someone, somewhere, with your words–and isn’t that the goal of writers? As for your delightful list: speak those aloud, and the picture settles. Even if we didn’t know their meaning. Serendipity–the fairies dancing on petals. You can see them, can’t you? And rivulets…ah, the dribbles overflow and grow…untamed. I could go on. That original reference for jitterbug (hello, but that’s fitting), and Nicky’s discombobulated. Oh, fun. Thanks for the link. I’m not nearly faithful enough there, but I feel the inspiration from enlarging my circles. I guess it’s Latin-sounding words that excite me (part of my heritage?). But I love how excited we get about words! I’m sure some people I know would just stare at us, completely puzzled. Thank you, Jenny, glad it gave you a nice start to the day and thanks for stopping over here. You know I’ve been following your blog for a while and enjoy it and I see you’ve just received an award yourself! Well done! Thank you. I love this blogging community we’re in and wonder why didn’t I do it earlier. Thank you for your kind mention, you, your thoughts, your words are an inspiration to me! Thanks for nominating me. But the nomination came in just as I published a post stating that I’m taking a blogging hiatus!! Sorry about that. Sorry to hear it and will miss you, but I completely understand. Safe travels (physical or mental). Marina, congratulations on your awards! And you are so gracious in your tributes; thank you for including me in a circle of such fine folk! I look forward to wending my way through your site, as well as the sites of all the nominees. Thanks for stopping by. I am always overwhelmed by how generous people are with their time and knowledge. Just wish I had the time to read everything as thoroughly as it deserves! How deserving of awards are you, I hear you ask! From my first impressions of this blog I’d say “very” in answer! And thank you for nominating a total stranger (moi). I am very flattered, M’am, very. Why, thank you, kind sir! Actually, I didn’t expect the question in the blog title to be answered, it just reflected my sense of ‘Wow, not expecting this!’ And you are not a total stranger, since I get to read and enjoy your work. Hi Marina! I thanked you on my blog, and I’ll offer my thanks here. 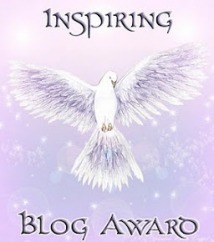 Thanks for nominating me for the Inspiring Blog Award. It’s wonderful that we’ve found each other’s blogs, and I can’t tell you how reassuring it is that others share my experience of trying to adjust a path (aka busting out of the corporate world). 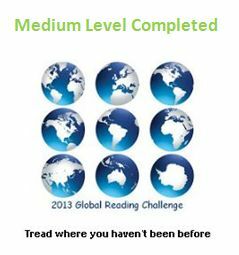 I’ll try harder to keep you posted on my, mm, “adventures”! Keep up your spirits and do a good battle! And please continue to write, I enjoy your work so much. Awww, bless you, you are always so sweet and encouraging! I am surprised and overwhelmed actually by everyone’s kind comments and awards. You know, this isn’t real life, where are all the virulent criticisms, kind of thing? Perhaps just as well that I haven’t had any of those so far, as my self-belief would have been crushed very easily in these first few months. Marina, I am so honored to be included in these nominations and touched by your kind words on my blog. 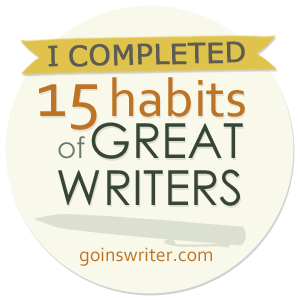 I have so enjoyed joining the Cowbird community of writers. Do especially enjoy your posts as well. Blessings and gratitude to you! I wonder what are your favourite seven words now, Marina? P.S. My (very) bad … I have yet to respond to your ‘Inspiring Blogs’ award. It doesn’t alter the fact that I was very flattered by your acknowledgement. Whilst I’m here, I have to say I am always impressed by your continuing stream of creative writing; far more consistent than I am.